In a gust of attitude and charm, Americana Submarine blows by. 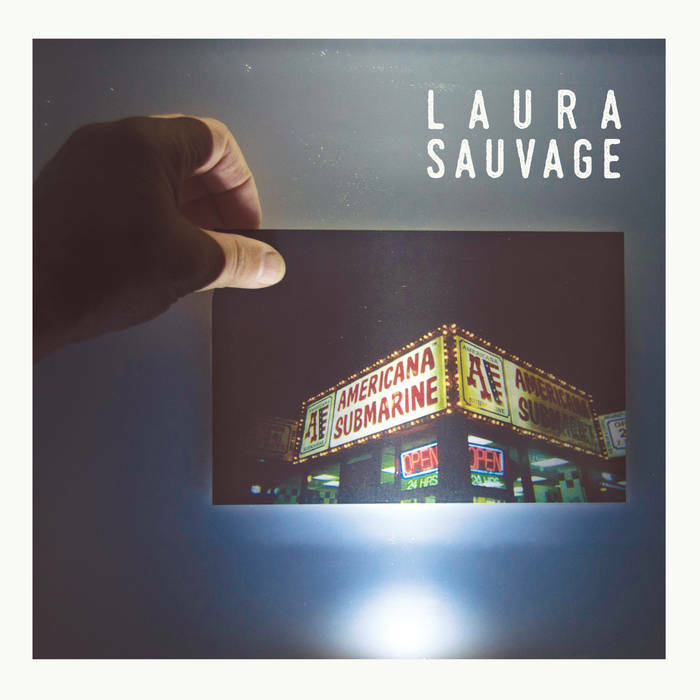 Laura Sauvage is Vivianne Roy’s (Les Hay Babies) anglophone solo project and though Americana Submarine is cut from the same cloth as Les Hay Babies’ releases, this EP is from that cloth’s frayed edges. Americana Submarine is not trying to please anyone in its scruffy, no-fucks-left-to-give attitude but of course it does. Perhaps NO fucks is a little much because Roy does dabble in self-pity (“The Avalanche”) and even a tiny bit of remorse (“You Think I’m Cruel”) but lyrically and instrumentally, the EP exudes so much confidence that it’s littered with the deep footprints Roy’s made by her struts. It’s unlikely though you’ll get over Americana Submarine anytime soon.